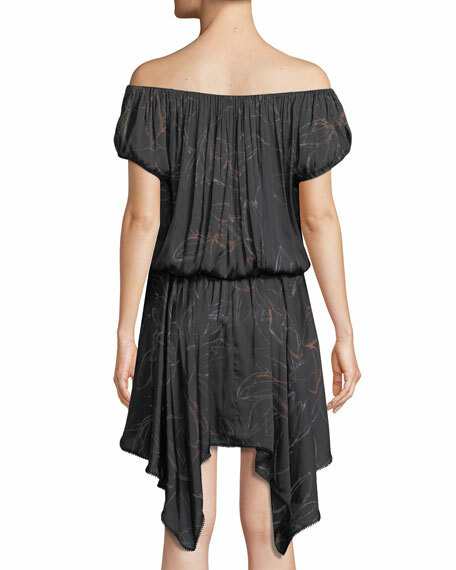 Halston Heritage dress in floral-print satin-stretch. 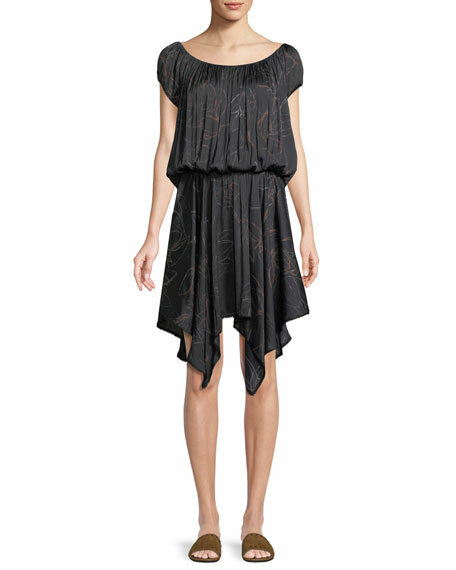 Ruched neckline can be worn scoop or off-the-shoulder. 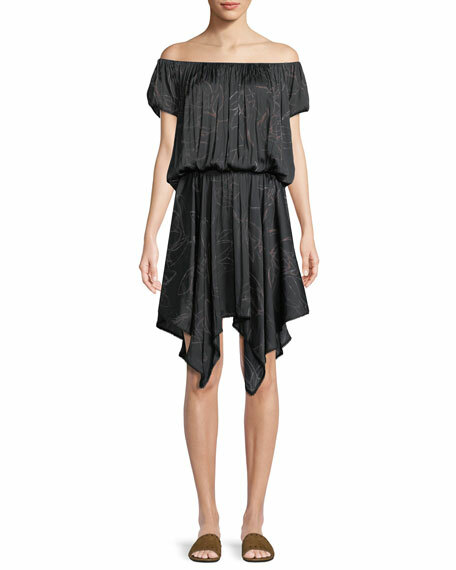 Smocked waist creates blouson bodice.